We will be coming together in a traditional Shamanic practice to hold sacred healing space for horses lost at Pleasant Prairie farm. 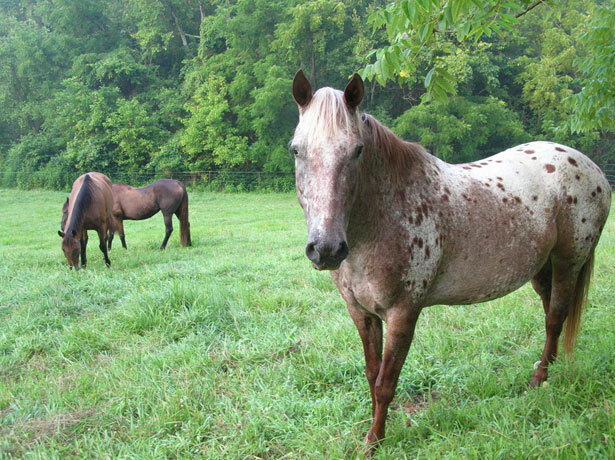 On May 8th, 2013, Police found several mass graves at the farm as well as many malnourished horses. The surviving horses have been relocated to nearby farms to receive healing care and rehabilitation. We will be honoring those that passed and helping any restless spirits to find peace by holding a sacred space for healing spirits to come together with the horses. During this Shamanic ritual, we will share stories and have a small drum circle to honor this noble creature and our connection to Horses everywhere. Please bring a small drum or percussive instrument if you have one, and a small object to honor Horse. This can be a picture or a small statue/figurine. If you have any personal stories involving a horse or knowledge of a horse fable/tale/myth, please bring that to share as well! Depending on how many bring stories it may not be possible to share them all. It is our hope to bring healing to those horses that have perished and help us to remember our connection to this noble creature. No experience necessary, please wear comfortable clothing. 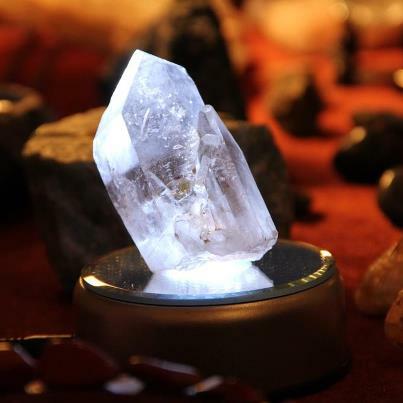 Kevin Seymour is a Reiki Master and Shamanic Practitioner. He has studied Shamanism through Joan Forest Mage's Shamanic Training and is a Teaching Assistant for the program. Kevin regularly performs healing ritual for clients and nature spirits. Copyright © 2013 Life Force Arts Center, All rights reserved. The city’s smartest, most stylish families head to Bucktown and Andersonville locations for clothes, toys, books and gifts. In 2013, celebrating 15 years as an indie business is nothing to sneeze at. The Red Balloon Co., which has locations in Bucktown and Andersonville, is marking its 15th year serving the city’s most stylish families. Both shops carry a coveted selection of clothes, toys, books, and gifts for boys and girls from newborn to 16 years old. Customers love that you won't find Red Balloon items in every other shop in town, but even more important: The store achieves the near impossible, stocking items that make both grown-ups and kids happy. 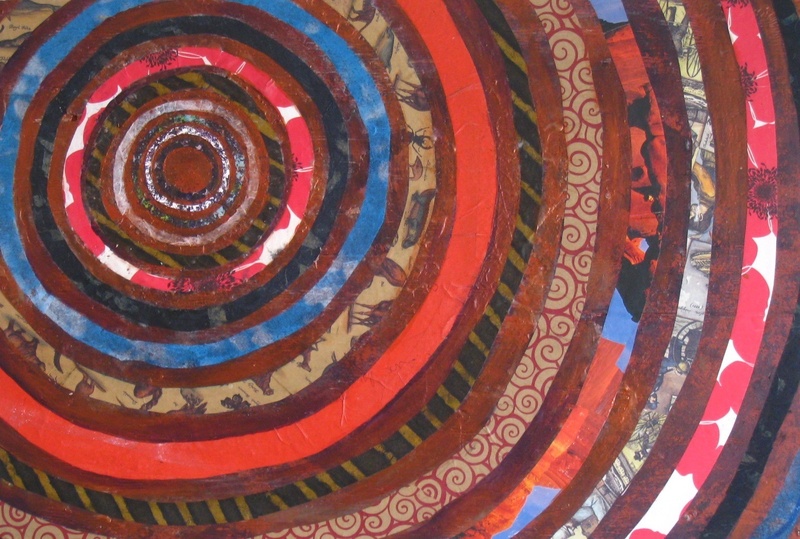 Owner Jennifer Pope opened The Red Balloon Co. in 1998 as a children’s furniture store specializing in decoupaged pieces. The mother of two’s keen eye and excellent taste helped her expand The Red Balloon’s offerings over the years to include items such as the shop’s signature initial tees, plus a refreshing line of boys’ wear that moves beyond polo shirts and elastic-waist khakis. And while it is The Red Balloon’s selection that draws shoppers in, it’s the store’s stellar customer service that keeps them coming back again and again. The staff goes through extensive training, even practicing different troubleshooting scenarios to be prepared for anything customers might need. Free gift-wrapping, personal shopping and a birthday club that offers parents 10 percent off during the entire month of their kids’ birthdays are among the customer-focused services offered at both locations. The Red Balloon Co. even has a “Shop For Schools” program that gives cash donations to the school of your choice for every purchase, year round. 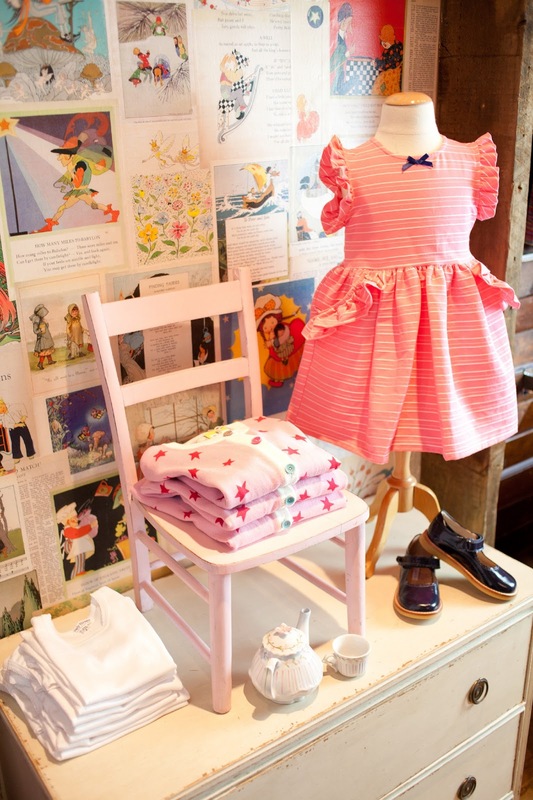 The Red Balloon Co.’s legendary pop-up warehouse sales have become a favorite of stylish, in-the-know Chicago parents, who flock to sale locations in the city and suburbs for discounts on favorite kids clothing designers including Petite Lem, Charlie Rocket, Zutano and Splendid. 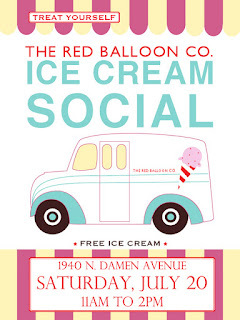 To celebrate its anniversary, The Red Balloon Co. is hosting a series of events including Halloween in July (July 13, 12:00 noon­ to 4:00 p.m.) when kids can come to both locations in their costumed best and parade to area vendors, who will be passing out candy. 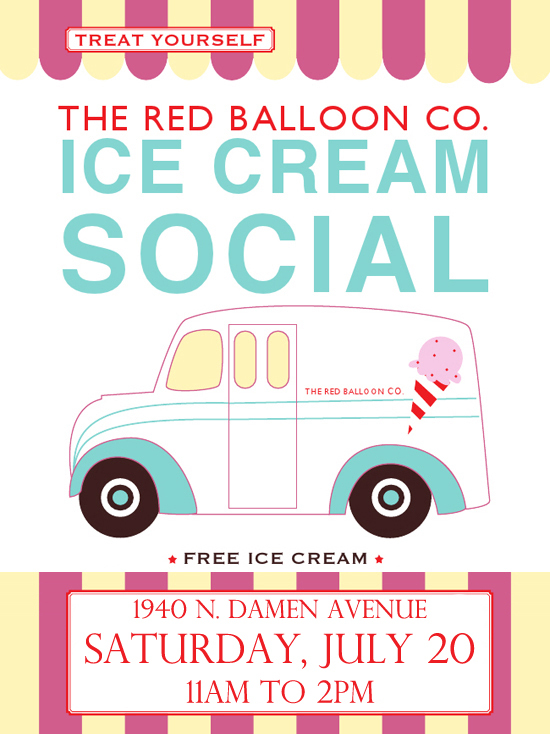 On July 20, the Bucktown store is hosting an Ice Cream Social with free ice cream from a truck parked outside from 11:00 a.m. to 2:00 p.m.. A Sidewalk Art Contest on July 27th from 11:00 a.m. to 3:00 p.m. at the Bucktown location will let kids get creative with provided chalk and stencils. Pre-registration at the store is encouraged. , or call the toll free number, 877.969.9800.The Red Balloon Co. Weekdays From 11 a.m. to 2 p.m.
ROSEMONT, IL - The Village of Rosemont, in its continuing efforts to maximize comfort and convenience for those who reside and work in the Village, has collaborated with Pace to start the free Rosemont Lunchtime Circulator. Operating from 11 a.m. – 2 p.m. each weekday, the bus connects individuals working at the suburb’s numerous large employers with the many fine dining destinations throughout Rosemont, including those in its thriving entertainment district, MB Financial Park at Rosemont. The free route is funded by Pace and the Village of Rosemont via a 60/40 percent split, respectively. When the Fashion Outlets of Chicago shopping mall opens later this summer, service will be available throughout a longer period of the day and will include some additional bus stops, including the CTA Rosemont Blue Line Station and the Donald E. Stephens Convention Center. More information regarding the Rosemont Lunchtime Circulator- including the schedule and bus stop locations- is available at www.rosemont.com. will debut its lineup of new beers, breathing life into a classic brand that has offered fine beer throughout the Midwest since 1887, with a festive Launch Party at Sheffield’s (3258 North Sheffield Avenue, 773-281-1350). Berghoff aims to capture a larger audience of beer lovers with its revamped product and this Launch Party is an opportunity for discerning Chicago beer lovers to sample their new recipes firsthand. “We are truly excited to be launching our new beers at Sheffield’s. We’re proud of our updated portfolio, and we look forward to sharing them with old fans and a whole lot of new consumers who have never tried Berghoff before,” says owner Ben Minkoff, whose family has owned General Beverage Distributors for the past 80 years and purchased the Berghoff brand in 1994. The Launch Party will feature all Berghoff beers on draft for $5 each including: seasonal Solstice Wit Beer (5.2% ABV), made with Calamansi juice, an Asian citrus fruit, and spices, for a refreshing summery beer from a long tradition of unfiltered wheat beers; Straight Up Hefeweizen (5.2% ABV), a Bavarian hefe-weizen, with the creamy goodness of wheat, plus a fruity and spicy nose; Dortwunder Lager (5.5% ABV), a classic and evenly balanced pale lager in the Dortmunder tradition; Reppin’ Red Ale (6.2% ABV), a serious red ale that mixes tangy rye and crisp toasted malts with plenty of American hop character; Sir Dunkle Crispy Dark Lager (5.5% ABV), smooth and malty, with a bright crispness, making a drinkable and very satisfying beer. Berghoff will also introduce the first beer in its Überbier Series, Germaniac Extra Pale Ale (6.3% ABV), brewed with honey and molasses, it will be a briskly hopped extra pale ale patterned after the old “outlaw” beer style, Kottbüsser. A DJ will be spinning live music and beer lovers will enjoy selections from Sheffield’s menu including pulled pork, brisket and pulled chicken tacos, with a choice of side, for $10 each throughout the event. Minkoff consulted with brewing experts Randy Mosher and John Hannfan to create the recipes for the top-notch German-style beers that where brewed at the Stevens Point production facility, located in Stevens Point, Wisconsin. Mosher is an acknowledged craft beer expert, whose books include Tasting Beer (Storey, 2009) and Radical Brewing (Brewers Publications, 2003.) An accomplished designer, he also contributed to Berhgoff’s new packaging and brand messaging. 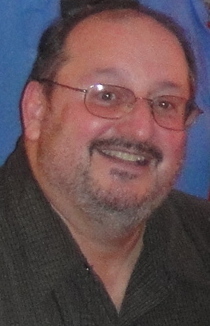 Hannafan is owner of John Hannafan & Assoc., a brewery and brewing consultancy firm located in Chicago. For over 20 years, Sheffield’s has been known for pioneering the Chicago craft beer movement – and more recently, for their authentic in-house smoked BBQ. The bar offers 50 craft beers on draft and more than 200 in bottles. Voted one of Esquire magazine’s “Best 100 Bars in America,” Sheffield’s features four bar rooms and two fireplaces flanking its storied beer garden, also recently ranked in Food & Wine magazine’s list of “America’s Best Beer Gardens.” Sheffield’s is centrally located just three blocks south of Wrigley Field, at the corner of School and Sheffield. , follow them on Twitter (@BerghoffBeer) and like them on Facebook. For more information about the Launch Party, please follow Sheffield’s on Twitter (@sheffieldsbbq) and like them on Facebook.